Will I have roommates or can I have a private room? 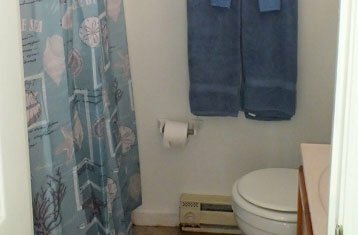 We do have private rooms; we recognize that there may be clients who need more privacy. 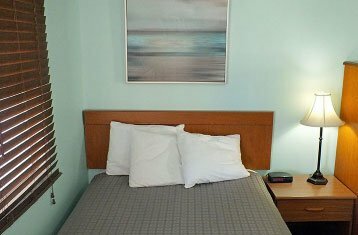 Our private rooms all have a small bedroom and kitchenette and some have a small living room. 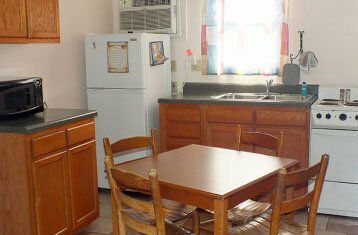 We also have family style suites, all of which have a kitchen and living room. 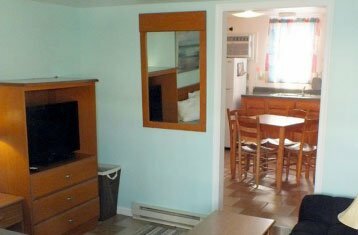 In some of the family style suites, you may have your own room and in some you may be sharing a room. Changing Tides does not discriminate on the basis of race, color, religion, gender, gender expression, age, national origin, disability, marital status, sexual orientation, or military status. Changing Tides however will only treat clients within the competency of our staff. Do I have to go to treatment or detox before being accepted? No you do not have to come from another treatment center. While we are not a hospitalized type setting, we have limited Medical Staff who will assess and assist clients from early recovery/withdrawal stages to long term recovery. Prior to admission, we will review each case separately and individually. Yes. Counseling is an important part of our program. We feel that counseling is one of the components necessary for recovery. Counseling is offered in different ways, individual sessions, family sessions, psychoeducational sessions and group sessions. We utilize group therapy as the main tool of the counseling focus. Clients meet Monday through Friday for group therapy. Changing Tides does accept insurance; we are out of network with all insurance providers. We accept major health insurances such as Blue Cross Blue Shield, Aetna, United Health Care, Cigna, and other major health insurance providers. We do not accept Medicare, Medicaid or Tricare. For more information regarding your specific insurance provider please call our admissions department so that we can review if we work with your insurance provider. Is there any type of Financial Assistance? We do offer some financial assistance for our programs, in order to see if you qualify for financial assistance please call us and request a financial assistance form from our staff. Please fill this form out accurately and honestly so that we can provide you with the best reduction. Not all who apply for financial assistance will be awarded one; this is a case by case basis. Yes. Drug testing is a major component of treatment and holds clients accountable. All clients will be subject to random urine drug testing and breathalyzing throughout their treatment. Yes, we do have rules or what we call guidelines that you should know about before admittance to our program. Please click here for those guidelines. You are expected to actively participate in your treatment experience to the best of your ability at all times. You are expected to lead an alcohol/drug free life. You are expected to treat your peers and staff with kindness and respect. You are expected to take care of the property and treat it as if it was your own. You are expected to clean up after yourself and keep your personal area clean and tidy at all times. You are expected to be honest at all times. You are expected to have fun and enjoy your life free of alcohol and/or drugs and enjoy all the Outer Banks has to offer. At Changing Tides we feel that 28 days is not enough time away from drugs and/or alcohol so we generally request the client stay with us for 3 consecutive 28 day semesters. We understand that not everyone is afforded this time and we are willing to work with individuals regarding the amount of time they can be away from their home. However the minimum amount of time is 28 days. We usually recommend that you progress through your levels of care on an individual basis and take the time that you need to fully immerse yourself in your recovery process. Each person is different and each person needs individualized care and attention. We recommend that you stay no less than 84 days. Yes. Changing Tides believes that meetings are an important part of your treatment and recovery. You will be required to attend both AA (Alcoholics Anonymous) and NA (Narcotics Anonymous). We also offer Y12SR and Refuge Recovery once a week which we consider an on-site meetings. Y12SR is a combination of Yoga or movement and an AA meeting. Refuge Recovery is a combination of Meditation and an AA meeting. Great question! Please click here to be routed to our What To Bring page. If you have any further questions please call us. If you are in our Partial Hospitalization Program we do not recommend that you work, this is an important part of your recovery process where you should be immersing yourself into both our program and the AA/NA community. Once you have moved on to our Intensive Outpatient Program and our Outpatient Program we do recommend that you work, attend our community college or volunteer. This must not interfere with the therapeutic component of your treatment. We do allow pets. There is a weight restriction and fee to bring your pet with you. We do not accept all pets and we do not allow animals that are aggressive. If you would like to know if we would allow your pet to share in your treatment experience please contact us and provide us with the information needed to allow your pet to come with you. Please be honest about your pet as if there is any dishonesty we may have to remove your pet from the program. You are the sole person responsible for your pet; you must ensure that your pet receives all the care that they need. We will not be responsible for your pet at any time. We encourage visitors or family member who will be supportive to your treatment experience. Visitors are allowed with permission from the staff. In order to receive permission, you must discuss in advance your plans for your visit. There will be no impromptu visits, no one is allowed on the property unless they are a client, staff member or approved visitor. We must protect all of our client’s privacy, therefore the strict policy on visitors. Yes there is a curfew. All clients are expected to be on site and in their rooms by 10:00PM unless otherwise approved. There will be no excuses to miss curfew if it has not been approved prior. Can I stay away from the site overnight? This is a case by case basis and depends on how your treatment is progressing and at what program you are in, as well as where you are going and what the reason is that you are staying overnight. We generally do not want clients who are new to the program spending the night off site for the first 28 days. Can I have my vehicle? All of our clients are encourage to bring their vehicle to treatment. Not all our clients will have full access to their vehicle right away, keys will be stored by staff unless you are approved for vehicle use. This is a case by case basis and depends on your treatment progress. As you progress through our program, you may receive permission to use your vehicle to attend work, school, volunteer and attend recovery related activities. Can I have my cell phone or other electronics? Yes, you may bring your cell phone, laptop and other electronics with you to treatment. Clients will be able to use their electronics as approved and not during treatment (therapy or other programing) hours. When not in use, electronics may be stored by staff. Yes, each room will have a TV. This does not mean that each bedroom will have a TV. There are some suites that may only have a TV in the living. Changing Tides OBX is dedicated to the path of healing for those dealing with addiction. Finding a Rehab in NC that is right for you can be an overwhelming experience. Getting on the right path in the right setting is critical for success. Our mission is to create a safe environment for our patients to heal in by creating the best possible care and programs for our clients. We are located on the beach road in Kill Devil Hills, NC. 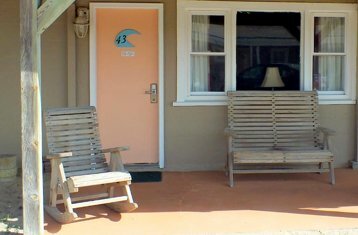 Our facility is conveniently placed to allow our guests to walk across the quaint beach road to the beautiful beaches but also offer access to other amenities in the area. We believe that setting is very important at the Changing Tides. 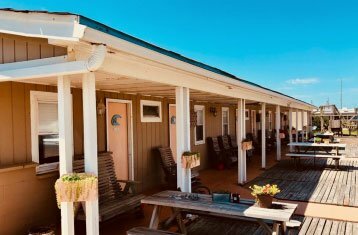 Our classic Outer Banks Beach Motel style housing combines the simplicity of beach living with the tranquility needed for personal rehabilitation. Changing Tides OBX is proudly family-owned and operated on the coast of NC. We have been living here for decades and believe that practicing compassion in the face of addiction is a worthy path for our facility. We aren’t a large corporation so we can give more personalized care at a more affordable price. Our family is passionate about creating a safe environment for you to work the practice in your recovery.